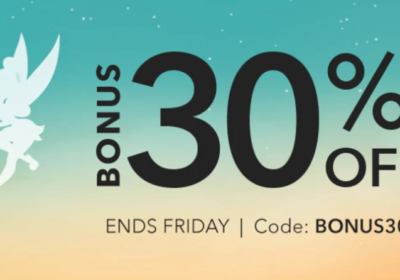 88/365 This promotion is over. 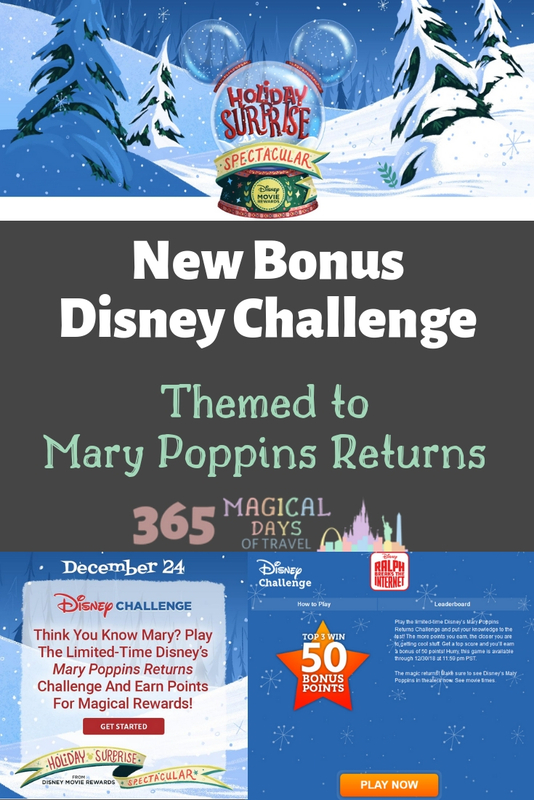 In keeping with the pattern of a new bonus Disney Challenge every Monday during their Holiday Surprise Spectacular, Disney Movie Rewards has posted one more this time that will test your knowledge on Mary Poppins Returns. 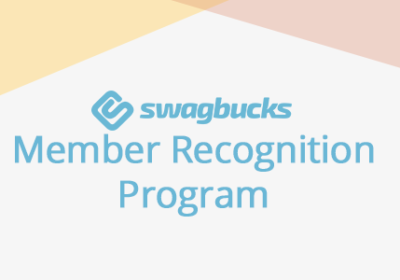 You can find the bonus game here, and it will be live through 12/30/2018. 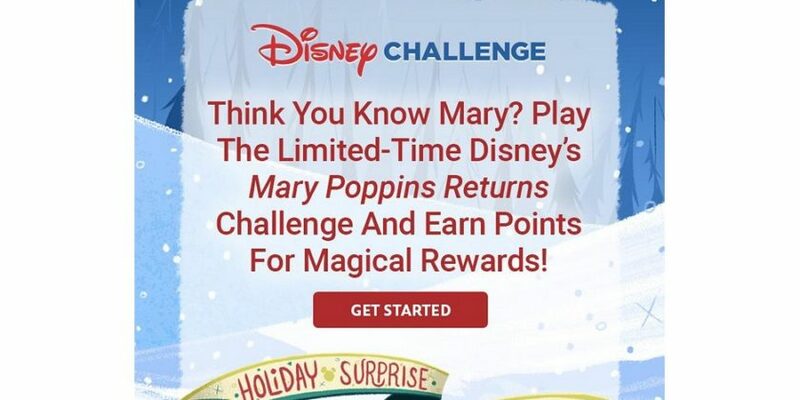 Don’t worry if the Wreck-It Ralph logo is still there, the game is all about Mary Poppins. 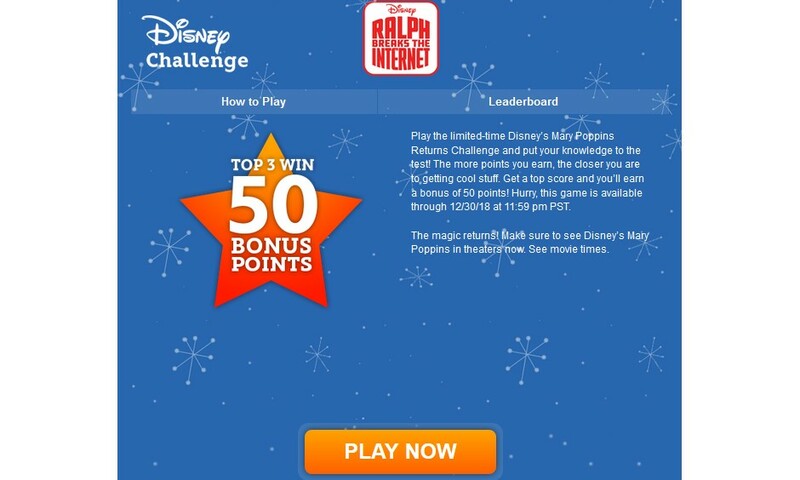 So grab your 5 points for playing the game, and then stay tuned this evening for the bonus code that should be posted during The Santa Clause on Freeform. 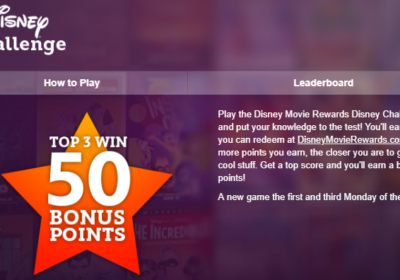 If you don’t want to sit through the movie to get the code, just browse the comments on the Disney Movie Rewards Facebook page, or follow me on Twitter or Facebook when I repost the code there.